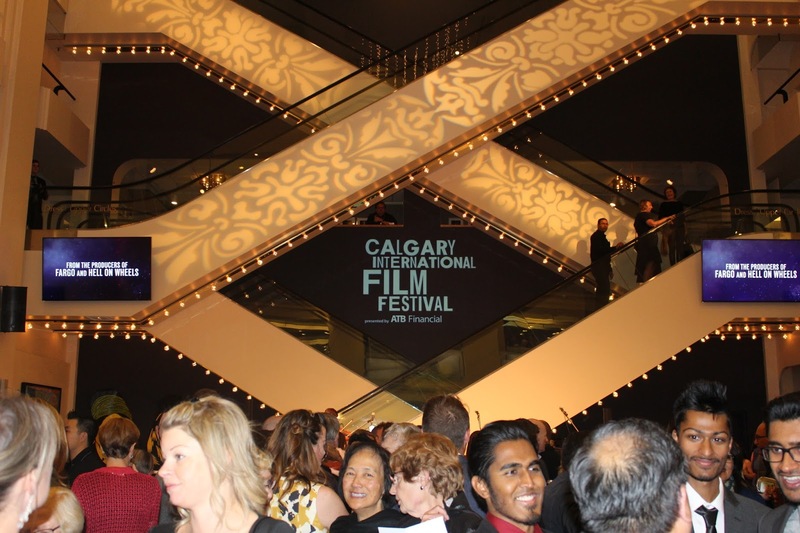 The red carpet was laid out within the gorgeous halls of Jack Singer Concert Hall for the 2016 Calgary International Film Festival. The 12-day showcase started with an opening gala that prefaced the premiere of Maudie, a feature-length film highlighting the life and career of Canadian folk artist Maud Lewis starring Sally Hawkins and Ethan Hawke. With a cast and crew of talented artists, it is no wonder the red carpet was graced with style. Check out our favorite looks from the red carpet! 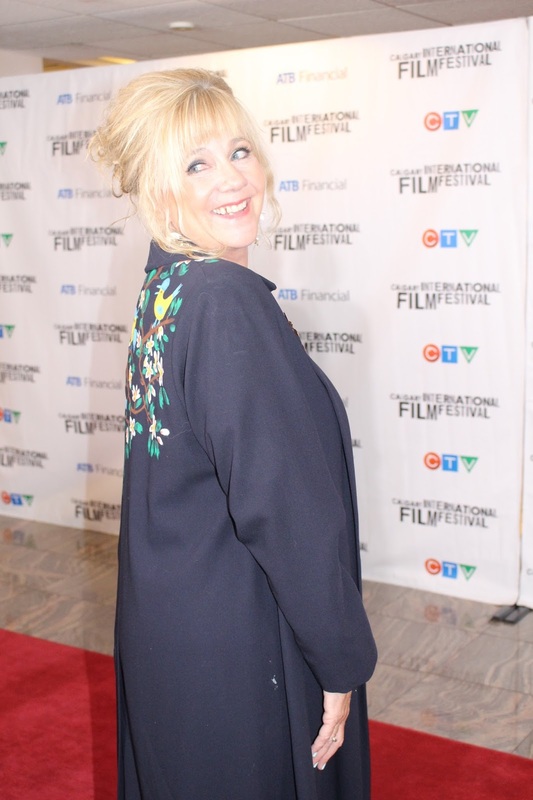 Mary Young Leckie, Executive Producer of Maudie, went for a whimsical and unique longline navy blazer with beautiful embroidery on the back. Her ensemble was the perfect combination of class and eclectic chic. Actress and co-star of Maudie, Kari Matchett, greeted the red carpet in a thin-strapped sequined number and black pumps. 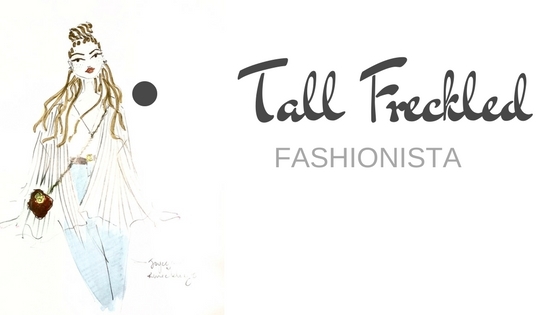 The Canadian born and raised starlet rocked a textured patterned dress by Los Angeles designer Christine Peters. “We went a little more formal at TIFF and I just wanted to go a little more rock and roll tonight,” said Matchet. 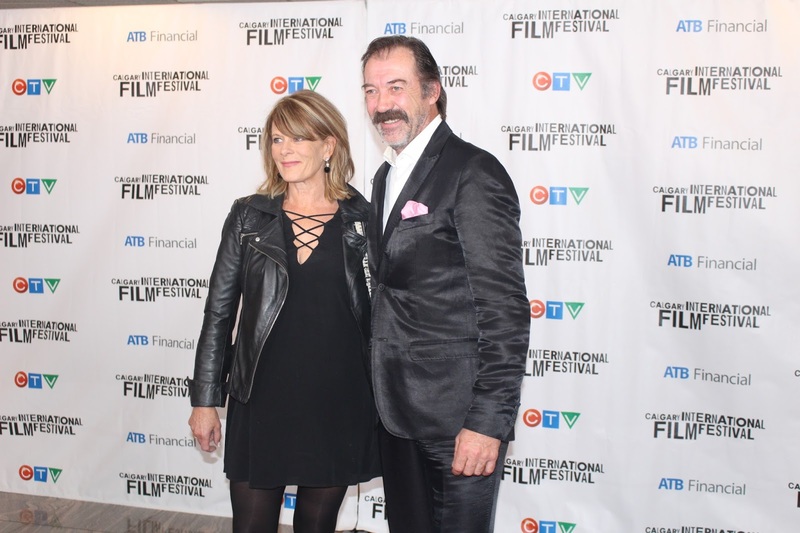 Actor Shaun Johnston from beloved Canadian television series “Heartland” attended the event with partner Susan. The couple was decked in a monochrome color scheme with a hint of pink in Johnston’s pocket square. Despite his claim to fame, Johnston is humble yet sophisticated in wardrobe choices. “I don’t have a great collection of designer wear, but this is my go-to idea, and I like it, so I don’t care if I don’t wear it to two events in a row!” expressed the Heartland star. “I’m usually pretty casual, but I make sure to complement whatever Shaun is wearing,” said Susan, who rocked a motorcycle jacket over a cross front dress from Nordstrom. With other guests in attendance including Steve Schroeder, executive director of CIFF, and James Pettigrew, president of the Board of Directors, the Opening Gala red carpet was filled with professionals who were clearly enthusiastic about beginning what has become a festival welcoming over 20,000 film enthusiasts. 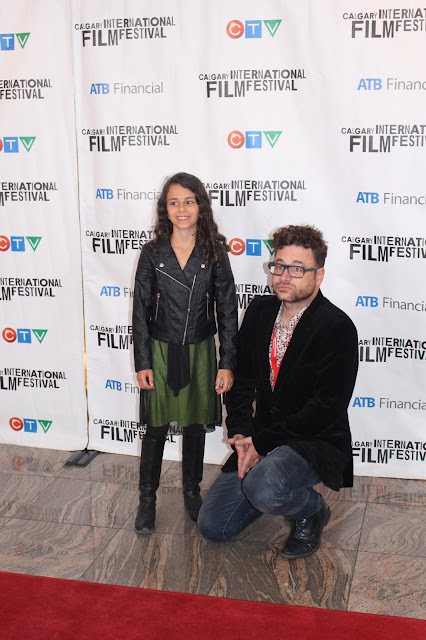 With a mission “to entertain and engage audiences by curating the most compelling films, and creating remarkable festival experiences, the Calgary International Film Festival has certainly set the stage to welcome an abundance of curated and engaging wardrobe choices for all of us fashionistas to also appreciate! Thanks for having us, CIFF!